It’s hard to run a successful VoIP environment without an effective VoIP router to keep your data flowing smoothly. 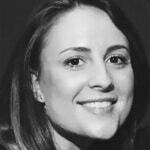 In today’s digital workplace, high-quality connections are more important than ever, particularly as customers continue to demand quicker results from their companies. The right router can make or break your communication strategy, by giving you the exceptional audio you need during a customer conversation, the fantastic QoS required to eliminate dropped calls and more. The question is, how do you find the best VoIP router for your team? Here are 3 of our favourite options for 2018, and a few quick tips on how to avoid a bad router decision. 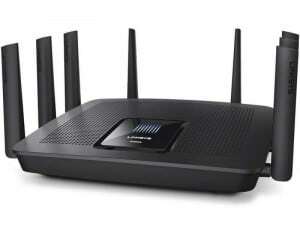 The Linksys EA9500 is a robust VoIP router with eight aerials to support better connectivity. Those eight aerials give this device one of the fastest Wi-Fi connections available on the market today, with average download speeds of about 100Mbits per second. The Linksys also contains eight Ethernet ports and an Ethernet WAN socket if you want to connect an external broadband modem. With twin USB ports built-in, you can share a printer and hard disk on the same router, and there’s also a visual management interface which makes it simpler to set up advanced features like dynamic DNS and guest networks. Key Specs include: Wi-Fi standard: 802.11ac, Speed of 5,400Mbits/sec, 2 USB 3 ports. If you’re looking for a router that’s high-performance and good value for money, the TP-Link Archer VR2800 ticks virtually every box. 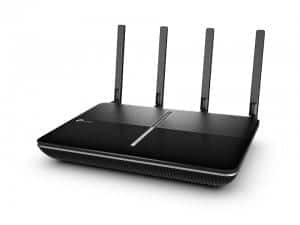 This router comes with Wave 2 802.11ac Wi-Fi, VDLS2 and ADSL2 connections and more. The performance on this router is very impressive, particularly for a piece of equipment that’s so easy to set up within any small business space. Maintaining and configuring your router will take a matter of minutes, and there is also 2 USB cables built-in. Key specs include: VDSL2/ADSL2 and dedicated cable WAN port, Wi-Fi standard: 802.11ac Wave 2, 2 USB 3 ports, Speed: 2,800Mbit/sec. 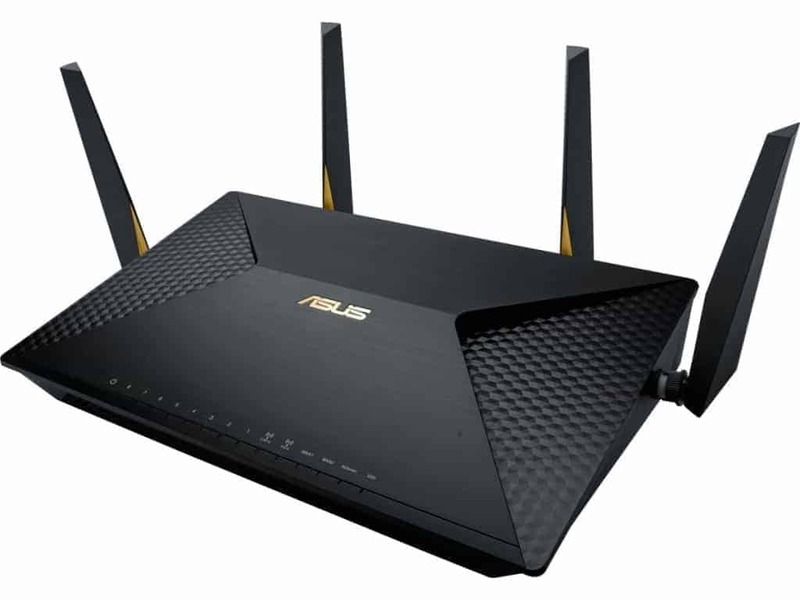 The ASUS BRT-AC828 is an excellent router for small businesses and busy home offices alike. The system comes with eight Gigabit Ethernet ports, as well as 2 gigabit WAN ports and a hardware VPN server. You can automatically switch to a backup internet connection with this router if you lose access to your mainline. Additionally, the BRT-AC828 offers a reliable performance all day around. No matter how far you get away from the router in your office, you should be able to achieve a speedy and dependable connection. As companies continue to stray away from the landline network and explore the benefits of VoIP, it’s important to cut any corners with your business routers. Remember, your router is responsible for maintaining a constant flow of traffic in your network, and you need to make sure that it’s robust enough to help you avoid problems like jitter, latency, service interruptions, dropped calls and more. While security in the workplace relies on more than just your router, it’s important not to overlook the importance of strong security in your workplace connections. Look for a router that comes with inbuilt encryption to help manage your connections. Ideally, it’s worth staying on the safe side by choosing a router with the WPA2 security protocol embedded. One of the most important considerations to keep in mind when you’re choosing a router is your required capacity. The speed at which your router can distribute data in an office varies depending on the model you select. Make sure that the throughput you choose is correct for your company. Your router shouldn’t support anything less than Wireless-N 802.11n technology. Finally, make sure that you choose a router that gives you plenty of control over your network. Depending on your business environment, you may want to establish restrictive access to specific content in your company. To ensure that your employees can’t access dangerous content online, look for a router with built-in administration features. Remember, one of the best ways to make sure that you get the right router for your needs is to ask for support from your VoIP provider. Experienced VoIP providers like RingCentral can offer personalised suggestions based on what they know about your company and your individual communication needs. Read the 2017 Best and Worst VoIP Routers article here.